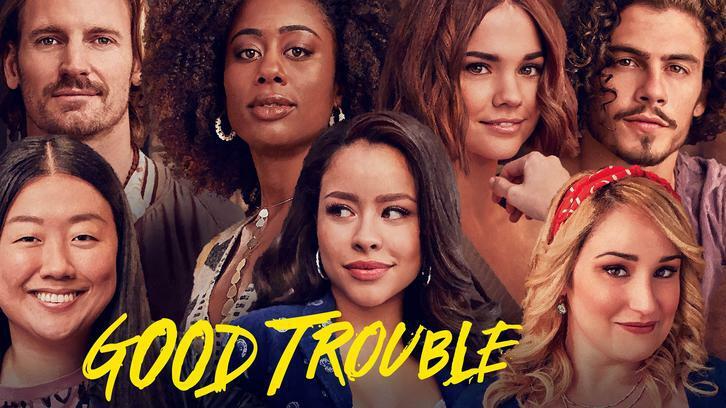 I hope everyone liked the last episode of Good Trouble because this week they up the ante and boy oh boy it is incredible. 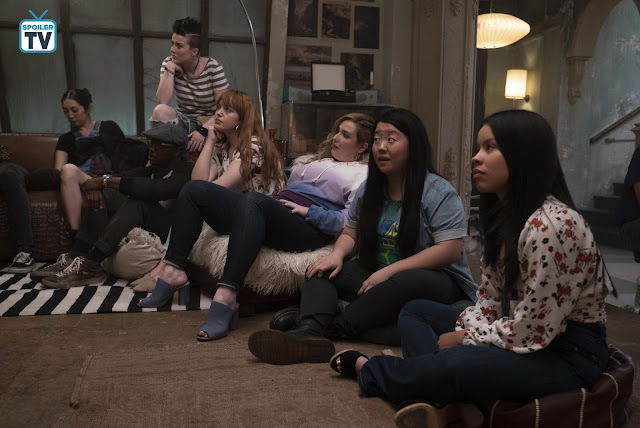 If I were reviewing this show, I would do a recap of Parental Guidance Suggested scene by scene so that you can savor each moment in narrative form. I must admit I have watched this particular episode four or five times and it gets better every single time. The episode is directed by Bradley Bredeweg, I love Bredeweg's work so much. He knows how to let the actors have a good time, and this episode is proof of his mastership. The Adams-Foster moms visit the coterie and meet the community. Teri Polo and Sherri Saum bring so much joy and hilarity to this episode. There are also some tears here and there and plenty of awkwardness, but it all comes together amazingly. The moms are initially wary of the coterie living arrangements, which is made worse when they bump into Dennis and his girlfriend. Dennis's girlfriend bakes some cookies and what ensues throughout the episode is quite entertaining. There’s an improv session that Stef decides to join in and delivers one of the funniest scenes in the episode. Stef is still very concerned the next day that an older man is living in the same quarters as her young daughters also dating a younger woman. She raises this concern with Dennis, and they end up having a touching scene that will leave you wiping your tears. We get to learn so much about Dennis and why he moved into the coterie. Gael meets the Adams-Foster mums and is able to charm them until Davia and Mariana reveal some information. I like Davia, but in this episode, she is mean towards Gael because supposedly, Brian is one of her best friends. Gael and Callie have a heart to heart that might see their relationship change; however, it is definitely going to be a three people relationship. Gael's storyline right now is a bit boring, so I hope they are going to make things a little more interesting with him. 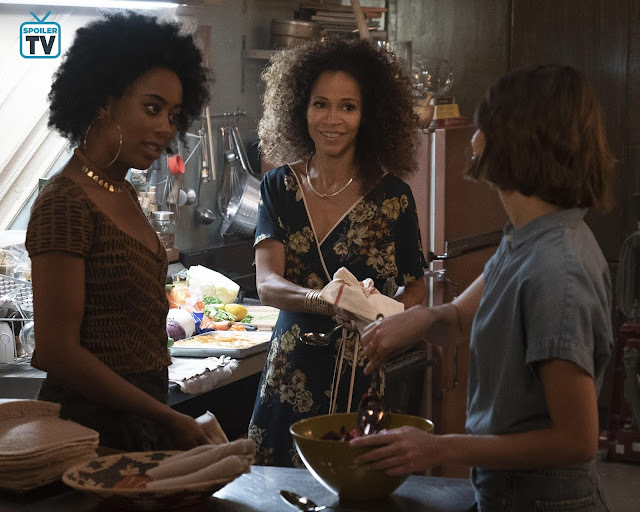 Malika gets a visit from Jamal's mother that might course a lot of problems especially after Ben figured out she lives in the Coterie as well. I am not a huge fan of, and you will see why at the end of his episode. Yes, Alice is in the episode, and she is taking care of everyone as usual. What makes Alice a compelling character is her loving nature towards everyone, she is just a sweetheart and deserves good things. This is a fun episode that will make you want to indulge in some cookies.